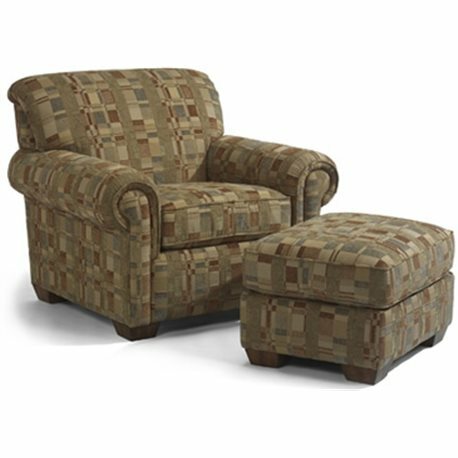 The Main Street chair and ottoman features a transitional look with clean lines, an attached back, welted seat cushions, padded rolled arms, and exposed wood legs available in a variety of finishes. 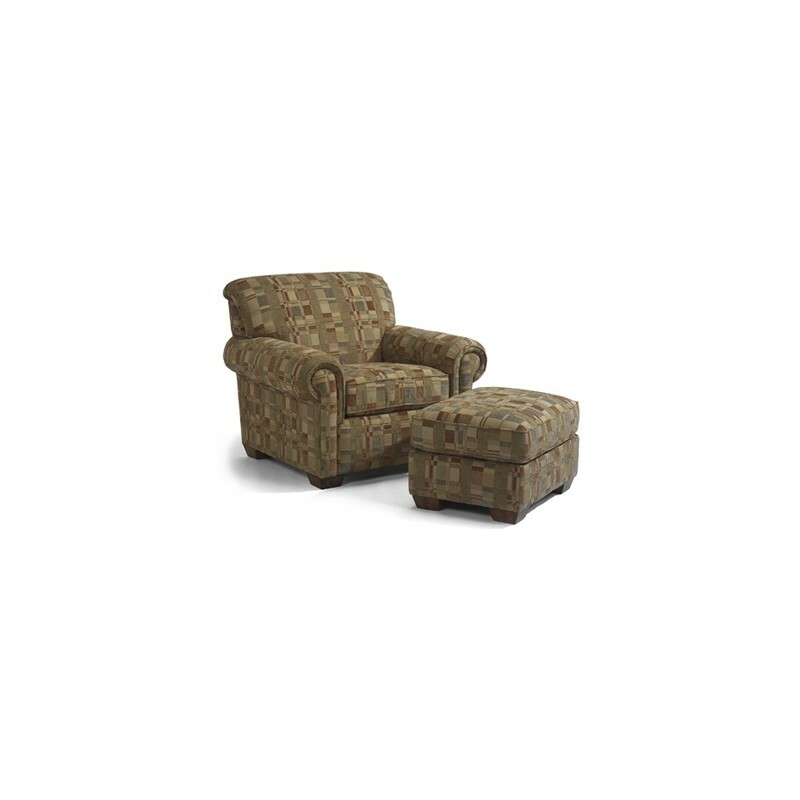 Choose from our large selection of fabrics for a custom look. Ottoman dimensions 19" x 28" x 23".